Armaspec Stainless Steel Anti-Walk pins are standard .154 sized pins. 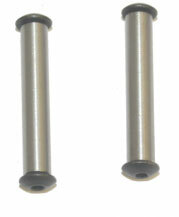 These pins are designed to keep your hammer/trigger pins from coming out. Thread locker recommenced.